Edward V. Hanrahan, 88, the former Cook County, Ill., state’s attorney under whose oversight a squad of police officers raided the Black Panther Party headquarters in 1969 and killed two of its leaders, died June 9 of complications from leukemia at his home in River Forest, Ill., a Chicago suburb. Black and white Chicagoans were deeply enraged and frightened by the event. Some considered the raid a massacre and blamed J. Edgar Hoover’s FBI Cointelpro covert intelligence program for setting it up. Others thought Hampton was a dangerous radical — just before his death he had told the Chicago Sun-Times that he was “at war with the pigs.” The radical Weathermen two months earlier had staged the Days of Rage, an anti-Vietnam War demonstration that attempted to spark revolution. And no one had forgotten the riots at the Democratic National Convention a year before. “Nothing could be further from the truth. At the end of his life, he traveled, he learned two foreign languages, he studied philosophy and the Bible, he learned to play the piano and joined a book club,” Wheeler said. “He served meals to the homeless” through a church shelter program. Mr. Hanrahan ran for Congress unsuccessfully in 1960 and worked in the district attorney’s office until the powerful Mayor Richard J. Daley sponsored him to President Lyndon B. Johnson as a candidate for U.S. attorney, the leading federal prosecutor for northern Illinois. “Let me say, Mr. President, with great pride and honor, he’s a precinct captain,” Daley told Johnson. “You got him, you got him,” Johnson responded. In the all-power-is-local world of Chicago politics, the lowly job trumped any other qualification. Four years later, in 1968, Daley “promoted” Mr. Hanrahan from U.S. attorney to Cook County state’s attorney. 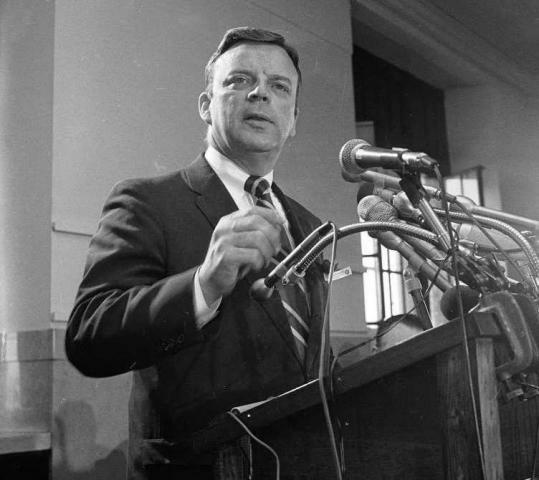 But after the Black Panther raid, the Daley Democratic political machine tried to drop Mr. Hanrahan from the ticket in 1972. He won the primary, but largely because of the anger of black voters he lost the general election to a Republican. This entry was posted in Black & African Liberation, Black Panther Party (BPP), Capitalism & Bourgeois Liberalism, Capitalist Repression, CIA Atrocities, Colonialism, Fascist Massacres, FBI and CIA, Genocide, History, Imperialism & Colonialism, National Liberation, Racism, Reactionary Watch. Bookmark the permalink.